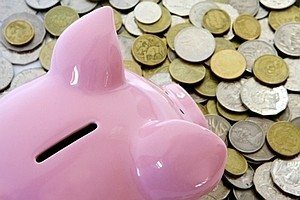 Division 293 tax is being introduced from the 2012-13 year to reduce the tax concession on superannuation contributions for individuals with income greater than $300,000 a year. Division 293 tax will be charged at 15% of an individual’s taxable concessional contributions above the $300,000 threshold (which is capped at $30,000). For individuals who are members of a defined benefit fund, Division 293 tax may be calculated on notional contributions which are not capped. Are you liable to pay Division 293 tax? You are liable to pay Division 293 tax if you have taxable contributions for an income year. If your income – for surcharge purposes, plus your low-tax contributions – is greater than $300,000, the taxable contributions will be the lesser of the low-tax contributions and the amount above the $300,000 threshold. • MCS and SMSF annual returns to determine low-tax contributions. 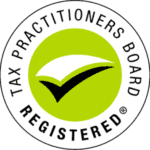 Assessments for Division 293 tax will be issued once we have your income tax return and an MCS or SMSF annual return. Note: If you have more than one fund and it reports contributions for you after you have lodged your income tax return, you may receive an amended Division 293 tax assessment. The threshold at which a Division 293 tax calculation will result in an assessment being issued is $300,000. For the 2013-14 and later financial years, funds are required to report defined benefit contributions. The amount of defined benefit contributions represents the annual increase in a defined benefit superannuation account based on the benefit individuals are expected to receive when they leave the fund. The amount of defined benefit contributions could be substantial for some people. For more information or if you have any questions please call Taxwise on 08 9248 8124. If you fould this article helpful you pay also want to read about Tax on Super Contributions.